· March 23-24 -- Sæstaðir Icelandic Spring Classic 2019 . USIHC sanctioned show held at Coast Roads Stables in Santa Cruz, CA. Contact Heidi Benson at centaurcity@gmail.com for more info. · May 4-5 - CIA OPEN Spring Show - A USIHC Sanctioned Show at Flying C Ranch. For info email us at info@tolt.net or go to CIAClub.net. · October 12-13 - CIA OPEN Fall Show - A USIHC Sanctioned Show at Flying C Ranch. For info email us at info@tolt.net or go to CIAClub.net. 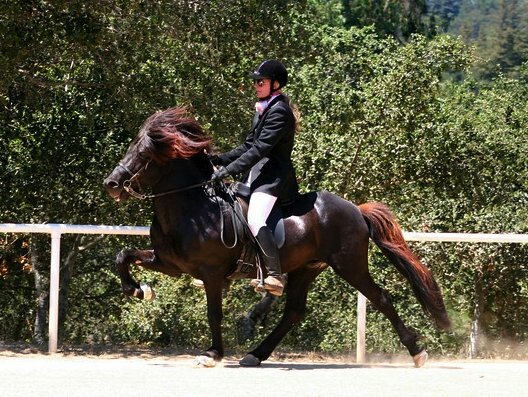 Olil is an FT certified trainer and riding instructor. She is born in Norway but is an Icelandic citizen. She is a multiple Icelandic Champion and Nordic Champion. 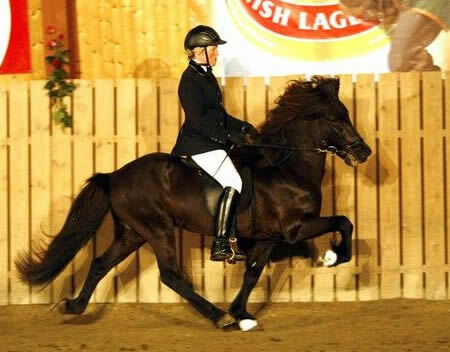 In 1999 she became a world champion in four-gait on her horse Kjarkur frá Horni. She was the Icelandic Champion in Fourgait 2007 on Svaki frá Holtsmúla that she rode at the World Championships the same year in fourgait and was 4th. 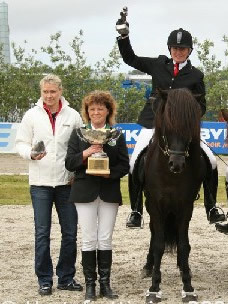 She and Bergur Jónsson were the breeders of the year 2010 and again in 2012. In 2015 they were the first to receive the Breeder of the Year in Iceland as well as Sport Horse Breeder of the Year. Along with success on the sport track she is a successful breeder, has shown multiple first prize horses on the breeding track and a Gaedingakeppni judge. She teaches all over scandinavia and Europe. Olil came to Flying C Ranch to host a clinic in December 2007 for the first time and has come at least once a year since.